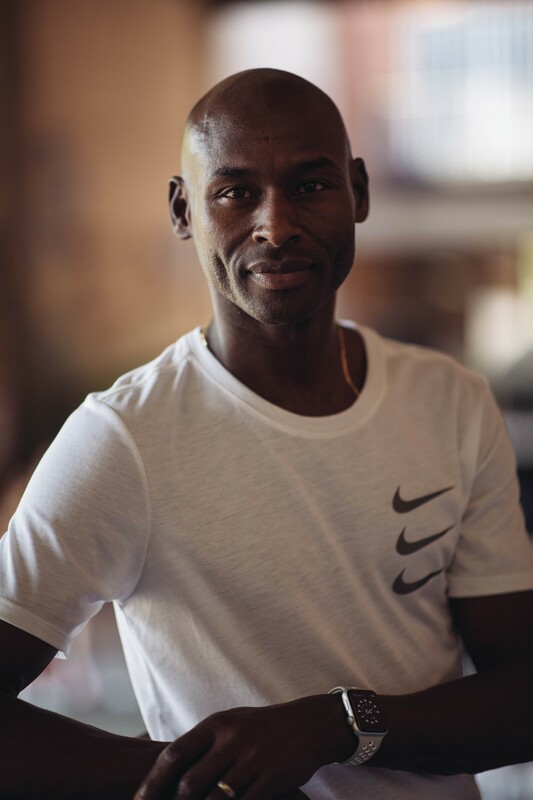 In order to help maximise your performance at the GCM19, here’s my top 5 pitfalls to avoid in your training ahead of the big day. 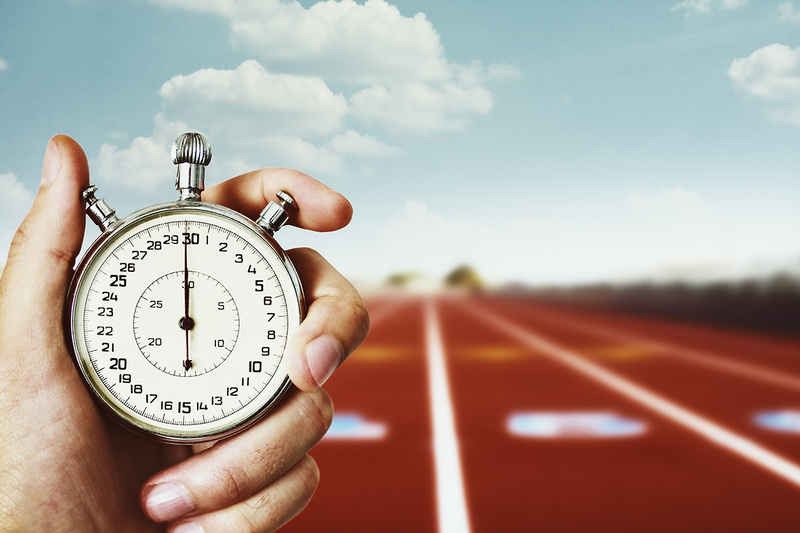 When there is too short of a time frame to achieve a certain running goal, you can succumb to varying degrees of pressure or anxiety, and have the feeling of being behind in your preparations or training. This makes you feel the need to ‘cram’ your training by doing extra runs, increasing the distance of the weekly long run or by skipping rest days. It’s important to note that while your anxiety of being ‘behind the eight-ball’ may be appeased in the short term by cramming training, your body stands at heightened risk of developing an injury. Studies by Sports Scientist Tim Gabbett have shown that increases of training load by more than 15% of the previous week’s load can increase injury risk by up to 49%. In short, begin your training early and gradually progress in volume and intensity – there are no short cuts. Many runners mistakenly believe that strength training will ‘bulk’ them up with muscle mass, and subsequently impede their running ability. The good news however, is that there is no evidence of this occurring. Studies have shown that through strength training, runners improved their efficiency, speed and strength without ‘bulking up’ or putting on additional muscle. 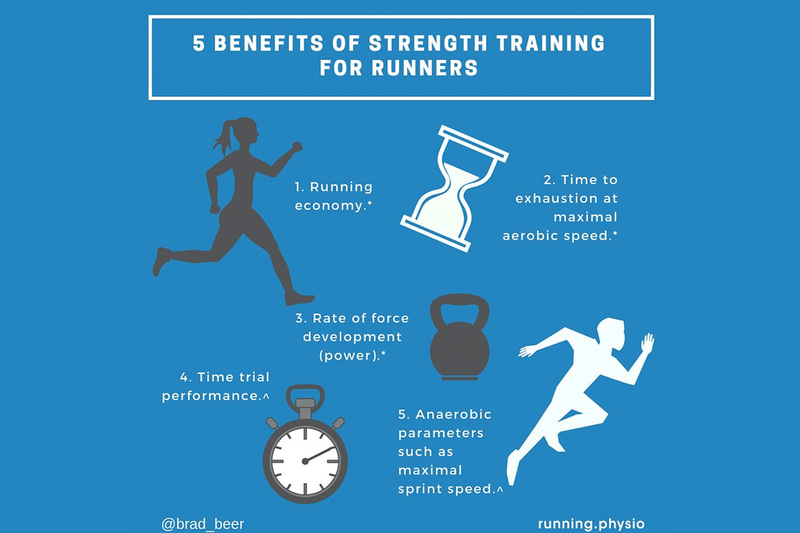 Benefits of strength training for runners include: improved running economy, reduced injury risk, improved time to exhaustion at maximal aerobic speed, and improvements in time trial performance and maximum sprint speed. Running too hard, too often, is the single greatest detrimental mistake in the sport of running. It’s difficult for many runners to make peace with the concept that if they want to run faster they likely need to slow down in some of their training sessions. 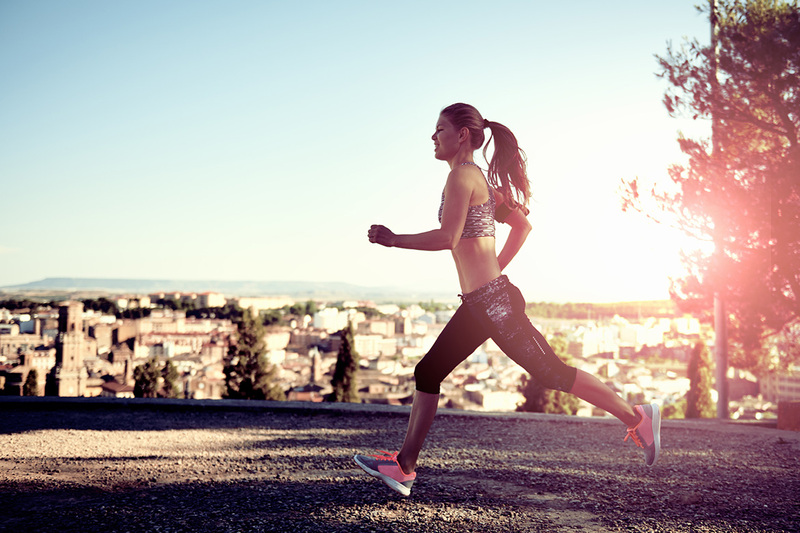 Running slowly doesn’t come naturally to many runners and there is a tendency to run what should be an easy pace run at a moderate pace which can hinder progress. 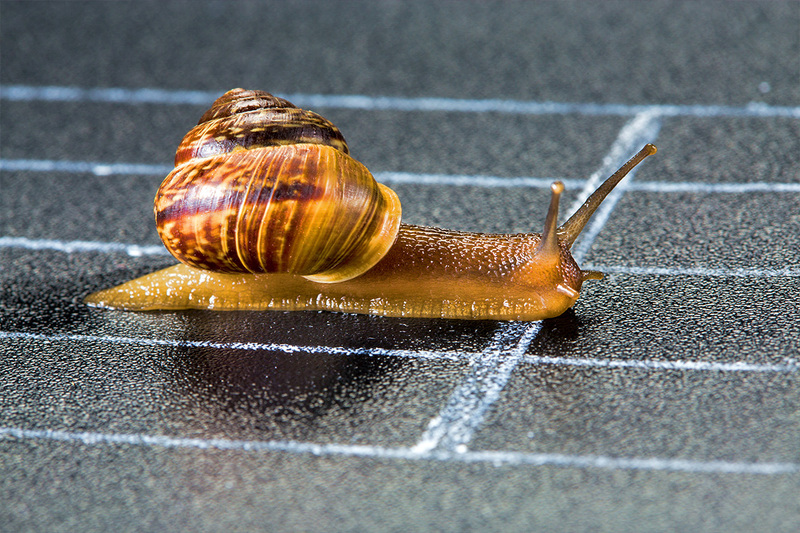 Wanting to run faster, yet needing to slow down seems contradictory. The world’s leading runners spend on average 80% of their total training below the ventilatory threshold – a pace slow enough that you can hold a conversation. The other 20% of training time is spent at high intensity, that is above the respiratory compensation threshold (the point where hyperventilation, or rapid, deep breathing occurs). In other words, for every one hard run, the elite distance runner will run four easy runs. By contrast, the recreational runner tends to run one easy run for every hard run. 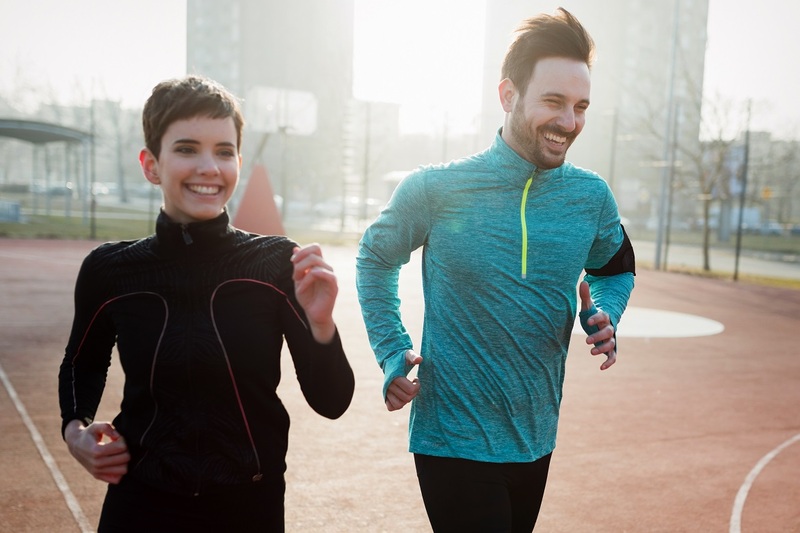 In ‘80/20 Running: Run Stronger and Race Faster by Training Slower’, Author Matt Fitzgerald cites that new research suggests recreationally competitive runners improve most rapidly when they run more slowly in training more often than not. The good news is that unless you are an elite runner, it is almost certain that you are doing less than 80% of your training at low intensity, and that you can improve by just slowing down. Bones are living tissues that need care and attention, namely vitamin D and calcium. 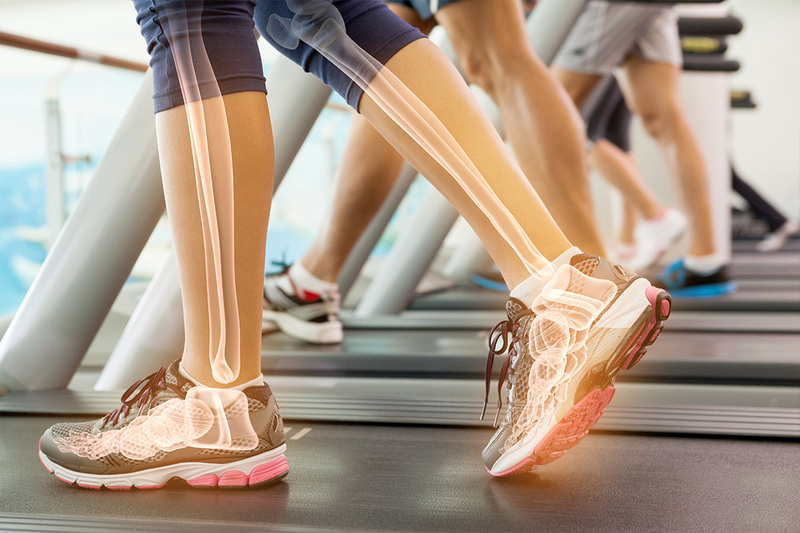 If you run across your lifespan you have a better chance of slowing the normal age-related decline of bone mineral density (particularly in the weight bearing bones such as the pelvis/hips). What can help bone health is heavy lifting (e.g. twice per week – think squats and deadlifts), paying attention to daily calcium intake and avoiding sudden and unexpected loads to the bones (think jumping off steps and landing awkwardly with force). Many runners over-attribute the importance of stretching for their ambitions to run injury free and faster. Stretching can have a place in a runner’s weekly training program, however in many instances I believe some runners could stop spending time performing their stretching routines with very little (if any) negative impact on what they are trying to achieve (performance gains and injury risk reduction) with their endurance running. The biggest problem with too much focus being given to stretching for endurance runners is that time spent stretching is time that could have been better spent working on strength and conditioning exercises – which have been shown to be very beneficial in the reduction of injury and optimisation of running performance. A systematic review in the British Journal of Sports Medicine found that strength training reduces sports injuries to less than one-third and overuse injuries can be almost halved- so swap some of your stretching with strength training! 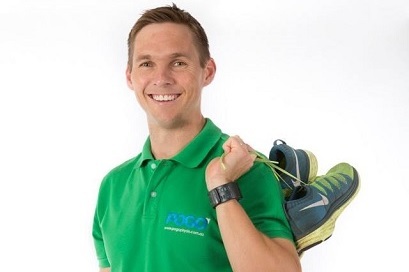 Brad is the founder of Gold Coast based physiotherapy group POGO Physio, author of Amazon.com best selling book You CAN Run Pain Free! 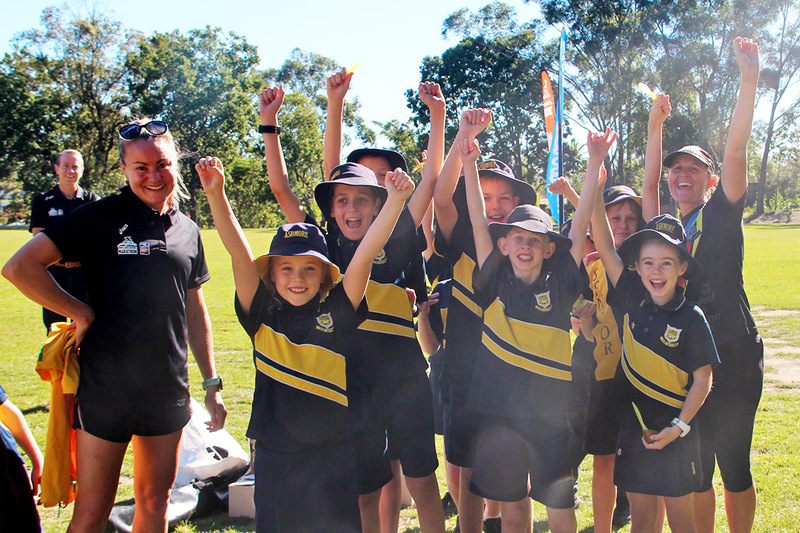 A Physio’s 5 Steps to Enjoying Injury Free and Faster Running and is a regular participant at the Gold Coast Marathon. Posted in News and tagged Brad Beer, Injury Prevention, Race Week.